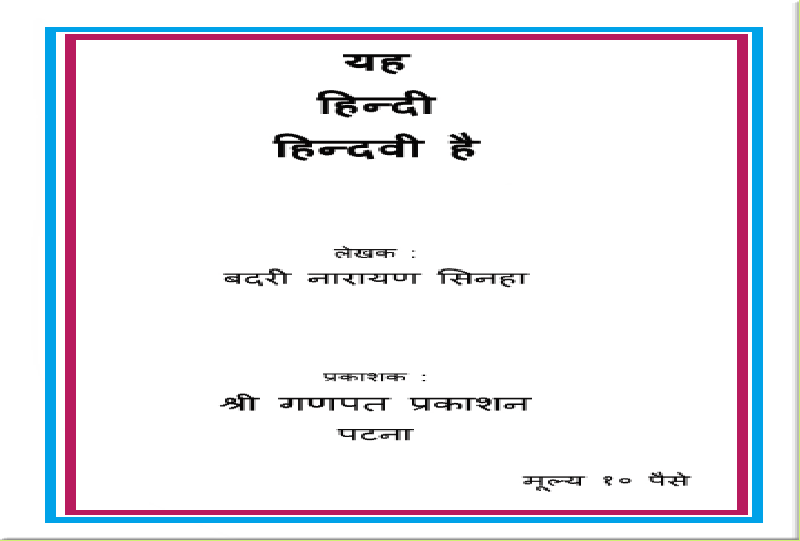 This is an essay on the potency and history of Hindi language in the context of the anti-Hindi agitation that spread across sothern parts of India in the mid-sixties after Independence. It is an extract from his book "Aaj Tak Ki". Badri Narain Sinha was an unusual and gifted person. Intellectual achievement is not unfamiliar among members of the All India Services but the talent to trace the history of a language and appreciate its finer points amidst the raging language agitation by a police officer is rare.